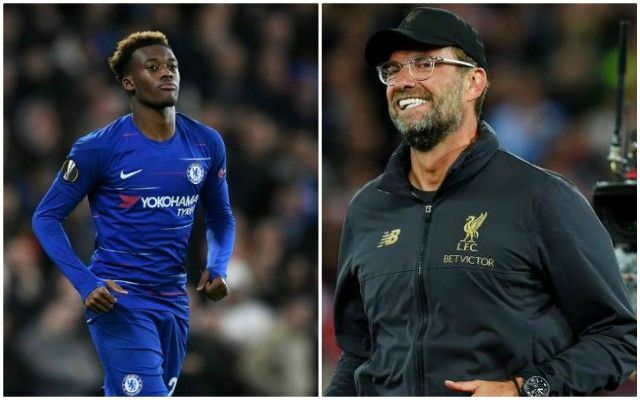 Liverpool are still considering a summer move for Chelsea hotshot Callum Hudson-Odoi. This is according to Sport Bild’s chief journalist Christian Falk, who tweeted as much today. Hudson-Odoi was the subject of multiple big-money bids from Bayern Munich in January, but the west-Londoners held out, despite the fact the teenager rarely starts in the Premier League. They obviously want to keep their extremely talented 18-year-old, but he’s not penned new terms and his current deal expires in the summer of 2020 – which means Chelsea may be forced into cashing in at the end of this season. However, Bayern are still frontrunners, with Falk claiming the player is keen on making the move and following Jadon Sancho to the Bundesliga. As much as we’d like Hudson-Odoi, we just can’t see Chelsea selling us such a prized asset. It would enrage their fanbase to such an extent that no amount of money we offered would make it worthwhile. There’s also the possibility that Falk, who is close to Bayern, is leaking our ‘interest’ in an effort to hurry Chelsea up and do a deal with the Bavarians. It does though show that we have our eyes on a new offensive recruit for next season – which is exciting in itself.